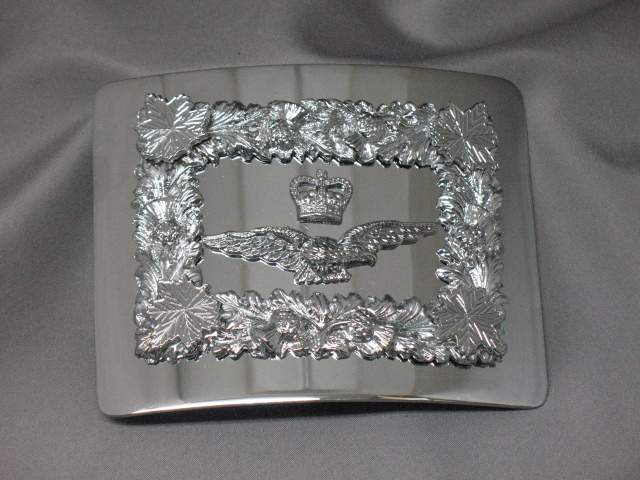 This is the belt buckle worn by Pipers and Drummers in Royal Canadian Air Force Pipe Bands. It features the Royal Canadian Air Force Crest and fits a 2 1/2" belt. Note: Written permission from RCAF Command or a RCAF Pipe Major is required when ordering this product.